The dress, scarf, and boots are all from Amazon; the denim jacket is from Gordman's; the gloves are from Charming Charlie; and the bag is from Kohl's. 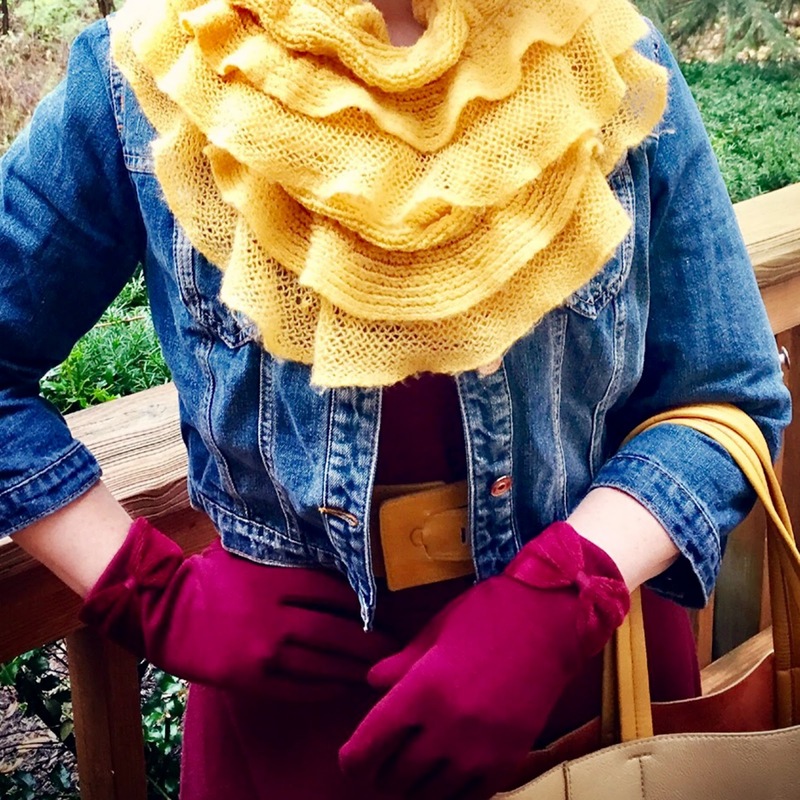 Nothing in this ensemble cost more than $30 and every piece can be mixed and matched with other pieces to create multiple looks - style is not about how much you spend! This short-sleeved basic a-line dress in super soft cotton comes in a rainbow of colors and is just $29.99 on Amazon. It's medium weight - somewhere between t-shirt and sweatshirt material, and as comfortable as both. Though it's a bit mundane on its own, simple accessories in a contrasting color turn it into a style statement on a shoestring budget. The ruffled infinity scarf makes a statement, but it's very lightweight. Amazon has similar ones available here; The hat came from a little boutique in Austin. 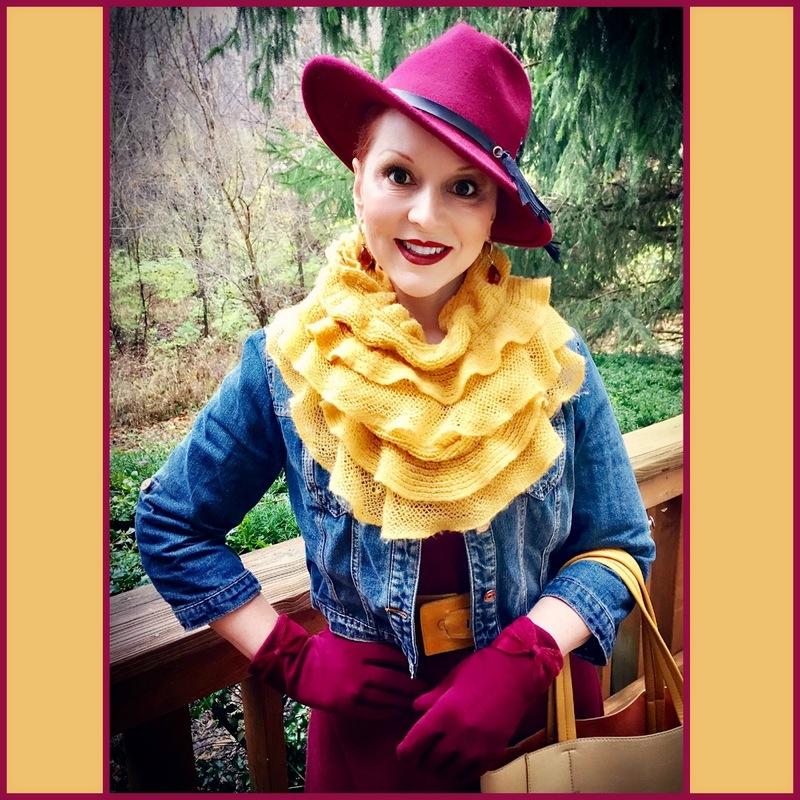 Paired with a voluminous but light weight ruffled infinity scarf, belt, and bag in gold (all less than $20), the maroon all-weather staple becomes the base for a perfectly autumnal ensemble. I've also paired the dress with white, grey, and navy accents, each time creating an entirely new look with minimal effort. Don't discount what you can do with basic pieces and a little imagination, even on the tightest budget! You are so right, style does not have to cost a fortune! 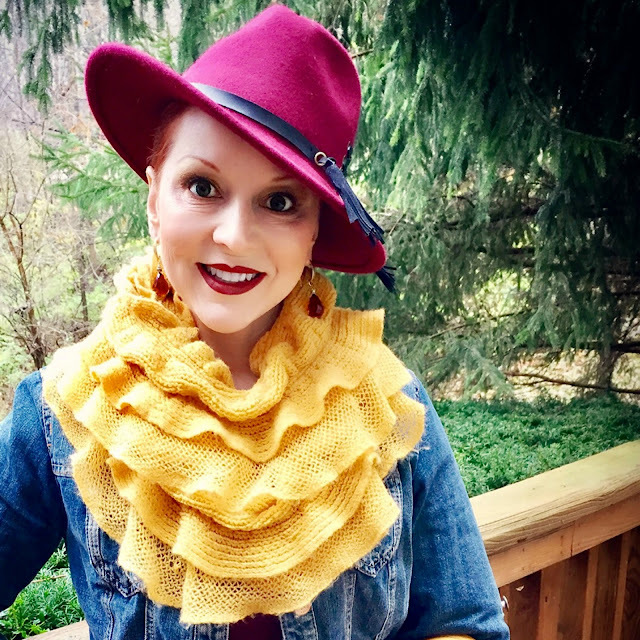 I really enjoy how you’ve tied together the different textures and colors of this outfit with the maroon hat and boots. Thank you for participating in Hat Attack! Thanks, Judith. Your style is truly an inspiration to me, as is the thoughtful way you interact with others! Happy new year! !